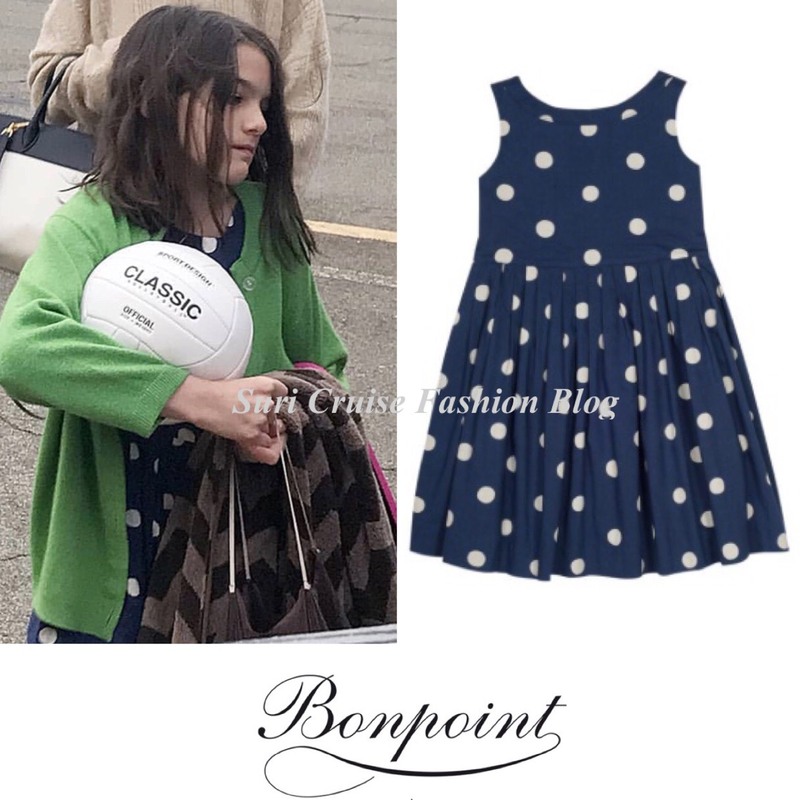 Suri Cruise spotted walking home after a sporting event with Katie and Grandmother Kathleen in NYC on June 10th 2018. 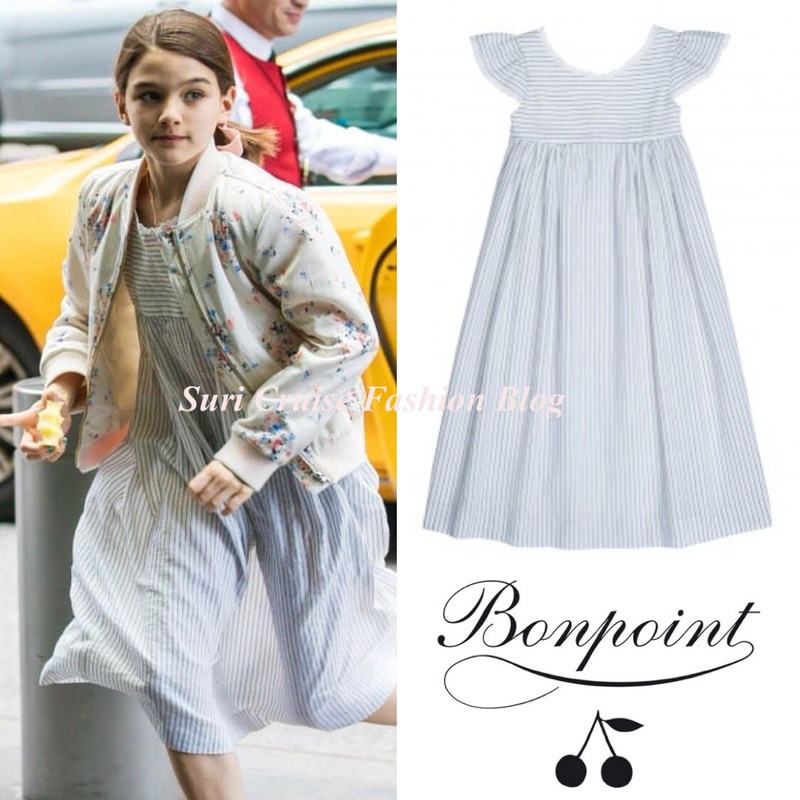 Suri was wearing Lilo Skirt in Multicolored Print SS18 by Bonpoint and Superstar Sneakers in White/Pink by Adidas. 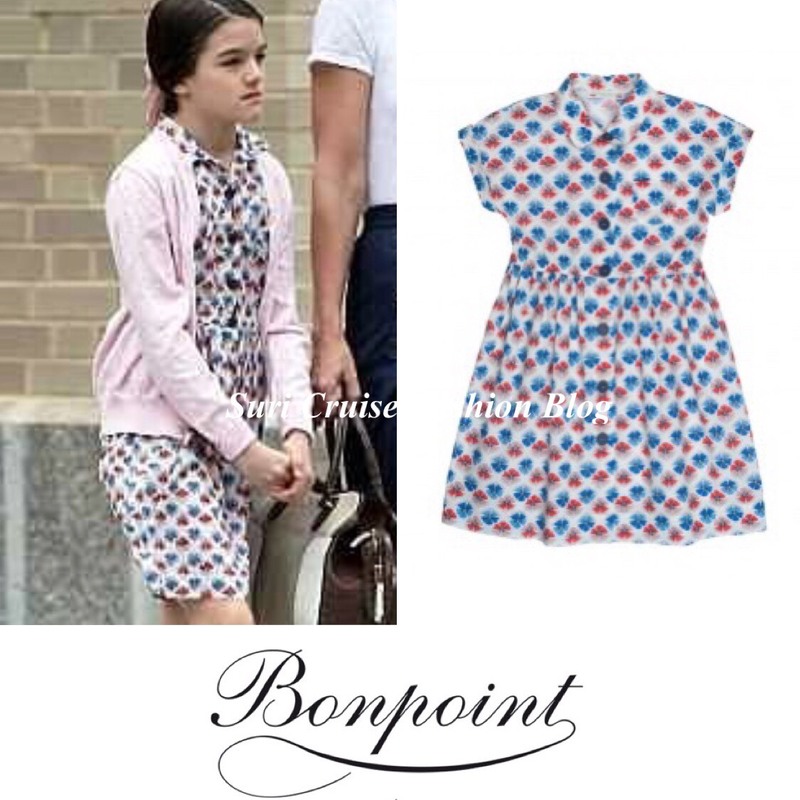 Suri Cruise spotted on her way to school in NYC on June 8th 2018. Suri was wearing Arctic Print Sweatshirt FW17 by GAP (sold out) and Grey Pleated Skirt AW16 by Crewcuts (sold out), and Superstar Sneakers in White/Pink by Adidas. All 3 girls were dressed in Marni's first kids collection launched in Fall 2012. Girls were spotted at the MOMA in LA on February 8th 2016. 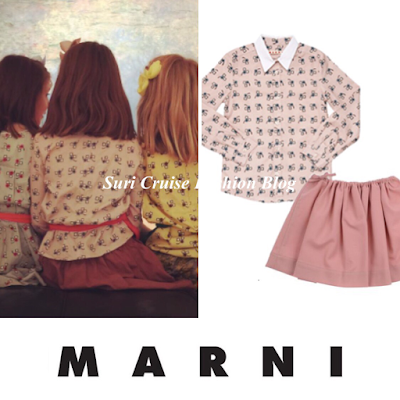 On the left is Olivia - wearing light green dress, in the middle is Suri - wearing Pink Peter Pan Collar Shirt and Dusty Pink Skirt AW16, on the right is Remy - wearing Yellow Peter Pan Collar Shirt. Suri Cruise spotted arriving back to NYC after spending the Memorial Weekend in the Hamptons, on May 29th 2018. Suri was wearing Blue Polka Dot Alina Dress SS17 by Bonpoint. 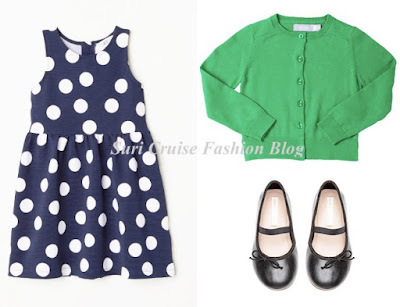 Grass Green Cardigan by Primary, Sleeveless Polka Dot Dress and Black Leather Ballet Flats, both by H&M. 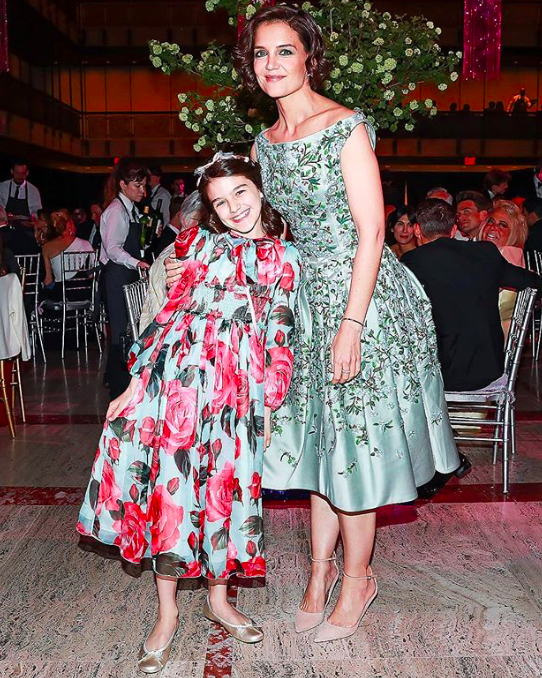 Suri Cruise attended the American Ballet Spring Gala with her mother Katie and grandmother Kathleen in NYC on May 21st 2018. 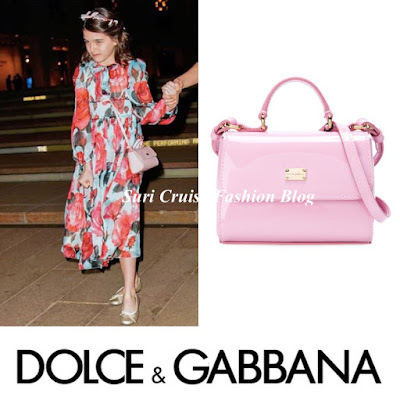 Suri looked splendid in the Silk Chiffon Rose Dress by Dolce Gabbana, accessorized with Pink Patent Leather Bag also by Dolce Gabbana. Suri Cruise and Katie spotted riding the subway in NYC on May 21st 2018. 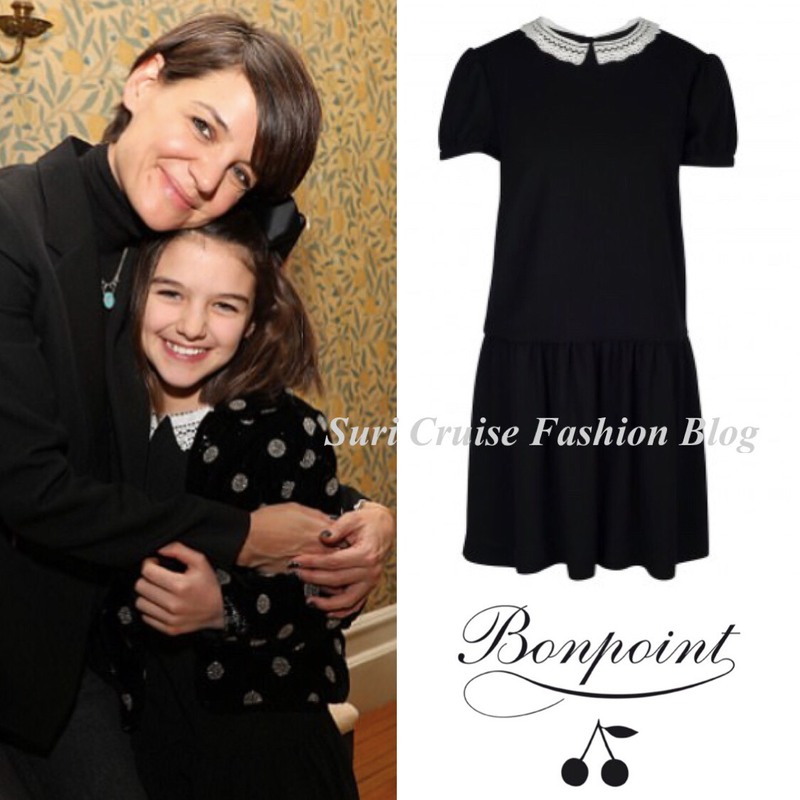 Suri was wearing souvenir Fuzzy Pink Zipup from Mohonk Mountain House and Superstar Sneakers in White/Pink by Adidas. May 2018: Suri celebrates Mother's Day! 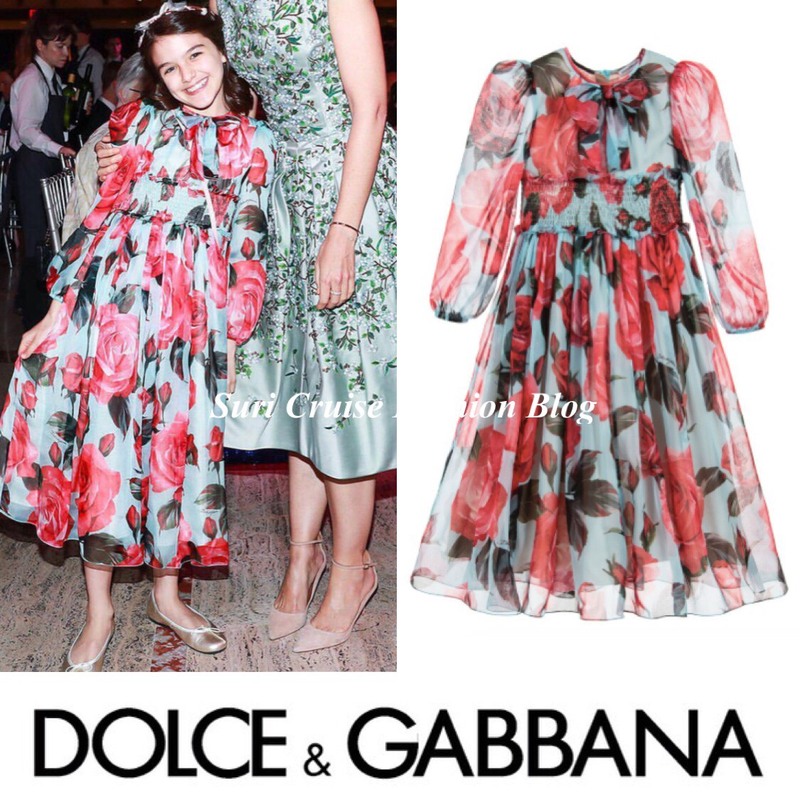 Suri Cruise and Katie went out for brunch to celebrate Mother's Day on May 13th 2018. Suri was wearing shoes similar to Darby Gold Glitter Loafers FW17 by J.Crew. 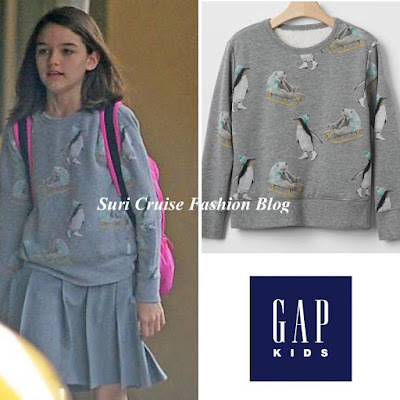 Suri Cruise and Katie spotted out & about in NYC on May 6th 2018. Suri was wearing Giselle Liberty Print Dress SS18 by Bonpoint. 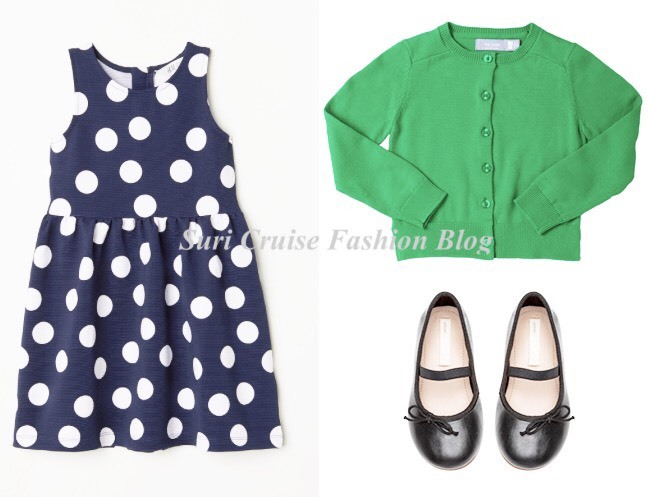 Suri Cruise and Katie enjoyed a stroll in NYC on April 28th 2018. Suri was wearing Floral Bomber Jacket by GAP, Galante Navy Striped Dress SS18 by Bonpoint and Pink Duck Boots by Sperry.